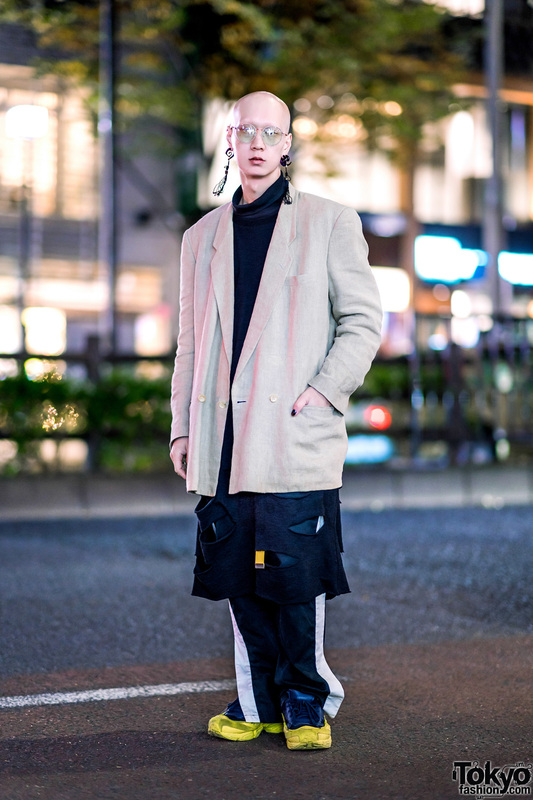 Japanese student clad in camouflage print overalls, matching head gear, sunglasses and black leather boots. 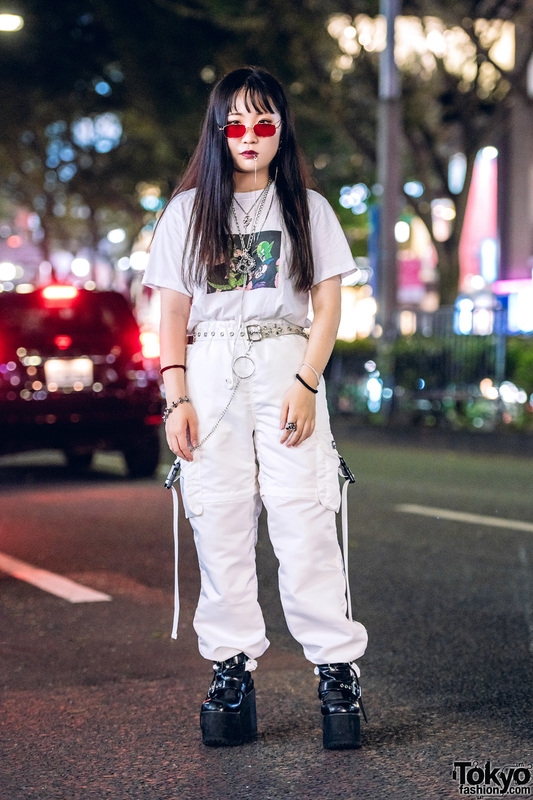 Harajuku student sporting a white punk look with Dragon Ball Z t-shirt, parachute pants, ankle strap platforms and accessories. 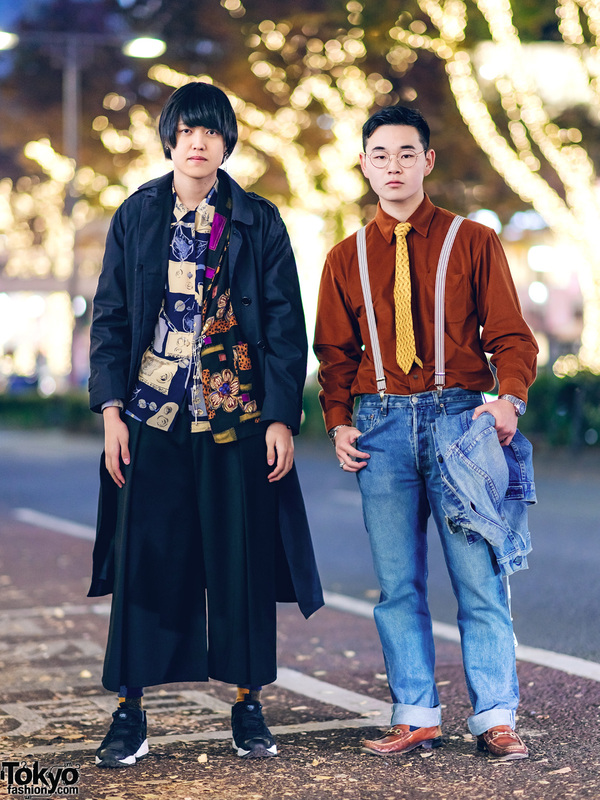 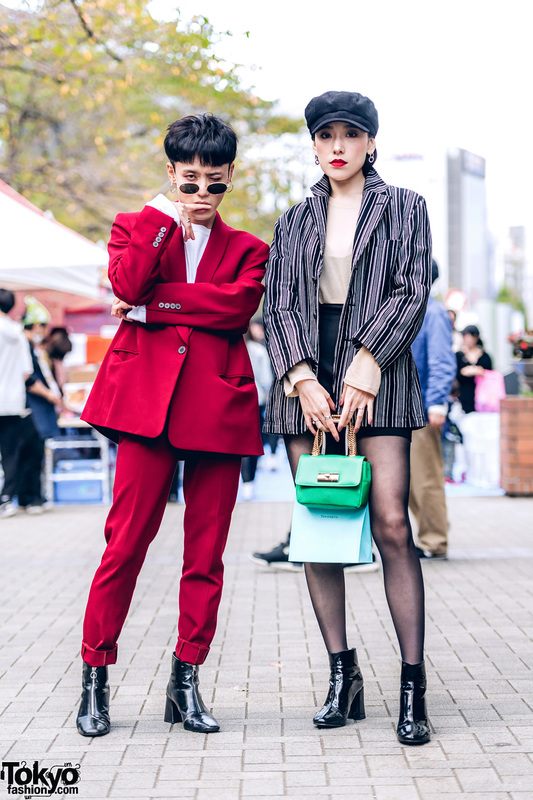 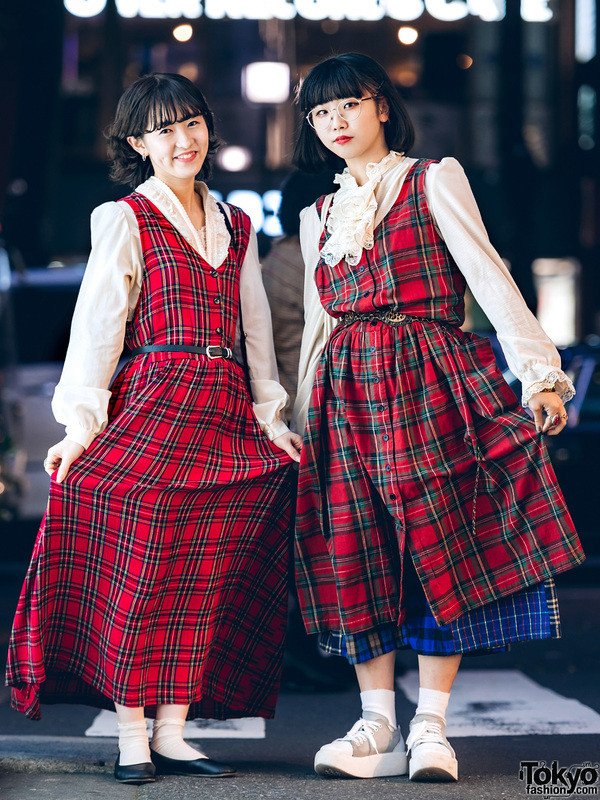 Harajuku shop staffs sporting similar plaid dress and blouse ensembles while out and about on the street.